The Northern Territory’s only university has produced its first Indigenous medicine graduate, who says his top priority is heading out bush to help where it is needed most. The first batch of graduates from the Territory’s medicine program, run at Charles Darwin University in conjunction with Flinders University in South Australia, entered the workforce this year. Among them is Dr Kane Vellar, the first Indigenous person to graduate from the program, which provides all four years of training in the Territory. “Being an Indigenous graduate here in the NT is very special,” he said. “It’s where we get to practice to best help our people in remote areas. Also in Darwin up to 50 per cent of our patients are Indigenous. Dr Vellar, who lived in the Territory for several years before starting his degree, is completing his internship, the first year in the workforce for medical graduates, at the Royal Darwin Hospital hospice. He said working in palliative care “can be quite daunting”. “It can be draining but there’s lots of supports in place. We work as a team,” he said. He said his family was very proud of his achievement. “My mum, she raised four kids by herself so she’s very proud that I’ve graduated in this field, coming from a difficult upbringing to be able to work now as a doctor is something special,” he said. Australia has long struggled to entice and retain medical workers to rural and remote regions. The president of the Australian Medical Association’s NT branch, Robert Parker, said it was an ongoing challenge. “The remote and rural regions of Australia have been under serviced by medical professionals,” he said. There is a nation-wide undersupply of Indigenous doctors, and a great need in many areas like the Northern Territory, where Indigenous people make up almost a third of the population and have a higher burden of disease. The Territory’s issues are that a third of the population are Aboriginal. The majority of that population lie in rural and remote areas. 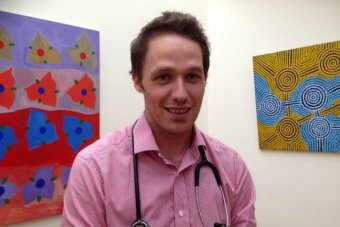 He said a loss of Federal Government funding for a rural work placement program had contributed to the problem of a shortage of young doctors working in remote areas. New data from the NT Clinical Workforce Strategy, commissioned by the Federal Government-funded Northern Territory Regional Training Network, highlighted the shortage of doctors in the bush compared to towns. While the report found Darwin had 70 medical practitioners per 10,000 people, Litchfield, which covers Darwin’s rural area, had just 5 per 10,000 people, the East Arnhem Land region 20, and West Arnhem zero. 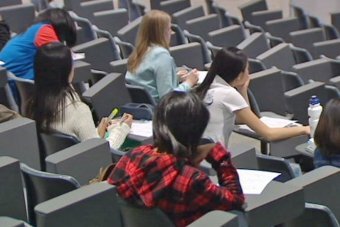 The report also showed that while almost a third of the Territory’s medical workforce were recent graduates, many did not stay on in the longer term. There is a high staff turnover rate with 92 per cent of all medical workers on temporary contracts. And in areas classified as “very remote” – most of the Territory’s land mass – general practitioners were on average five years older than they were in urban and regional areas. “There’s a concern with attracting young people, because GPs do a have a retirement date,” notes Dr Parker. The doctor of medicine degree run out of Charles Darwin University aims to change those statistics by training up Territory-bred doctors with the hope they will stay. The course is run by Associate Professor John Wakerman, the associate dean of Flinders NT. “There is very strong evidence that rural origin is a good indicator of rural practice,” he said. “So if you select students from rural or remote areas for medical school, they’re much more likely to work in those areas. There is also a strong focus on attracting Indigenous students to the degree, Dr Wakerman said, to increase the woefully small pool of remote-working Indigenous doctors. “We prioritise Indigenous applicants,” he said. All of the students’ fees are covered with the condition they stay on to work in the NT when they graduate. Dr Vellar said he intended to stay in the Territory anyway. “I’ll definitely be working here in 10 years,” he said. 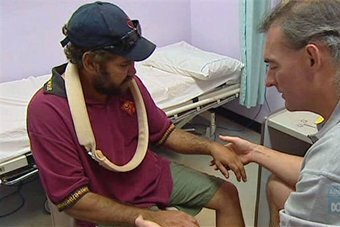 He said he wanted to train up at the Royal Darwin Hospital and then bring those skills to remote Aboriginal communities in the Territory, to improve the health outcomes of Indigenous Australians. This story is hard to believe, aye …. Noel Hayman was the first Murri doctor to graduate from University of Qld and was named Qld’er of the year in 2011 … he runs the Inala Indigenous Health Service … from memory the first Murri graduate from UQ was Len Watson who graduated in the late 1960s early 1970s (i could be wrong) but i remember Len Watson studying at UQ at that time. Len wrote such articles as “1945: Enter the Black Radical”, in the National Times Magazine in 1974. Len comes from a strong aboriginal family and together with Lilla, Maureen, Sam (jnr) paved the way for other Murris in tertiary education. Sam(jnr) was forced out of the Indigenous Unit at UQ a couple of years ago. Why doesn’t the ABC do a story on that, with Sam’s permission (of course).